Christmas for us is an opportunity to really 'give back' to the world and touch the hearts of those who need it most. 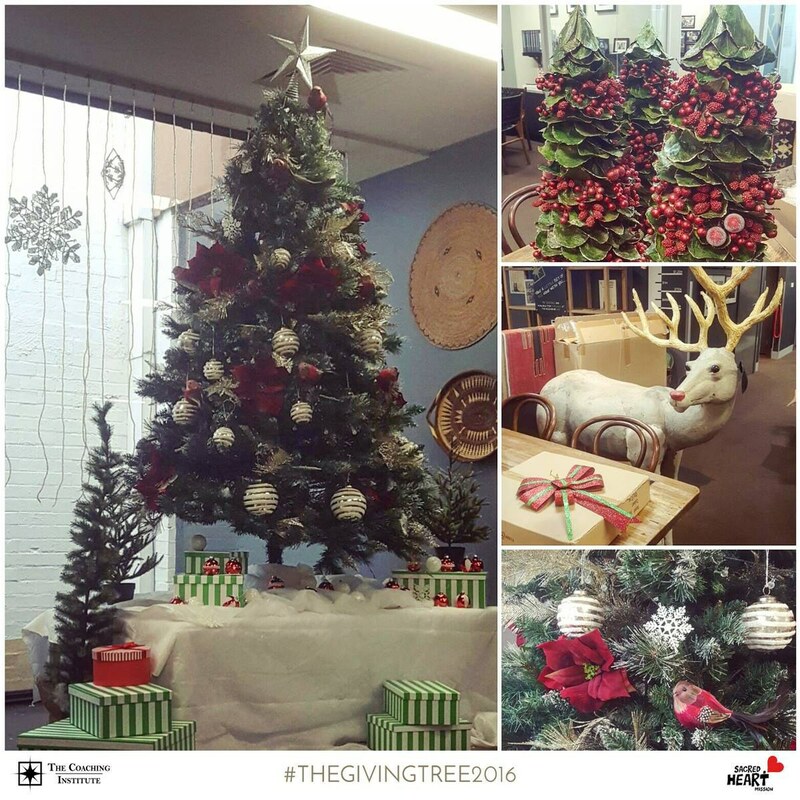 We have just finished setting up our 'Giving Tree' for 2016 here at the TCI HQ in Melbourne and invite all TCI students and members of the community to donate a gift that will make someone's Christmas that little bit extra special. Each year, we take the opportunity during Christmas to give back to those in real need, those who are most vulnerable and less fortunate. We invite you to donate a gift before the 15th December. Whether you do a chimney drop (by coming into TCI HQ), or on the back of Santa’s sleigh (via post), we will make sure it falls safely into the hands of someone who will need & appreciate it most. All gifts will be donated to victims of domestic violence, to mums and children without shelter, proper food, care or support and to children from 1 - 18 years of age at the Sacred Heart Mission. A small gift can mean the world to them during this time; be it pampering treats like makeup, clothes, sun glasses, perfume, toys or necessities like food, toiletries and household items (see full list of items below). Note: Clothing is challenging (unless via vouchers) as sizes will need to be matched with individuals. We request that any donations of gifts are either not wrapped, or if wrapped they are clearly marked with what is inside, so that gifts are distributed farely. Thankyou for your kindness and generosity at this time, your gifts will literally transform the worlds of many, even just for a moment. If you have any other questions you can give us a call on 1800 094 927.